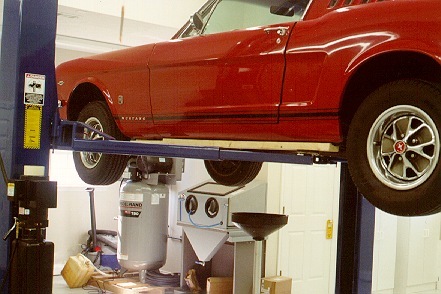 The bottom slip yoke was in Midlife, and shows severe wear. 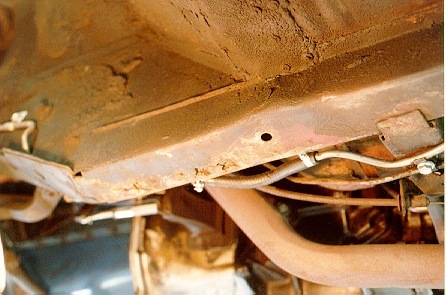 It is not the original slipyoke, as the casting numbers are not Ford. 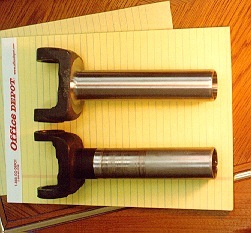 The upper slipyoke is a repro from NPD, and has slightly thicker u-joint support shafts. My driveshaft has been painted black, and when we stripped off some of the paint, we discovered this lime-green paint stripe about 7.5" from the rear end. There are my two rails right under the seat. They are not terribly flat, having been bent and gouged due to finger jacks and general rust. 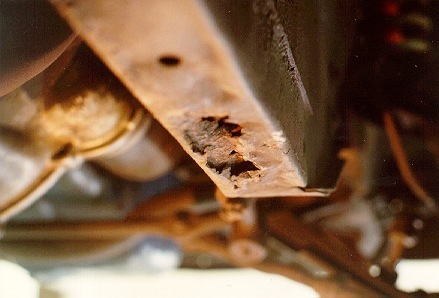 Most of the "rust" that you see is actually dirt covering the undercoating. 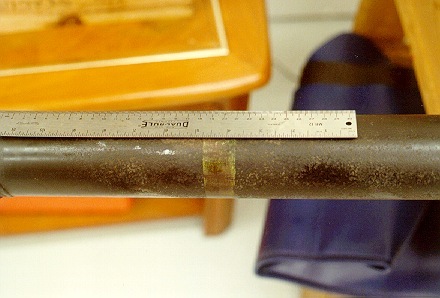 Just to the right of the hole on the left picture, you can see some of the original red oxide primer on the rail bottom. I'm going to patch both of these rails later on. 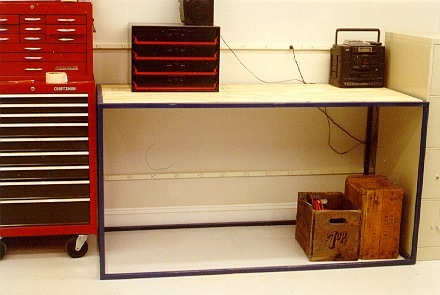 This is my newly constructed workbench, 32" deep, 38" high, and 5' wide. I used 1" box steel and welded the various pieces together. It is quite sturdy, and can easily support my weight.